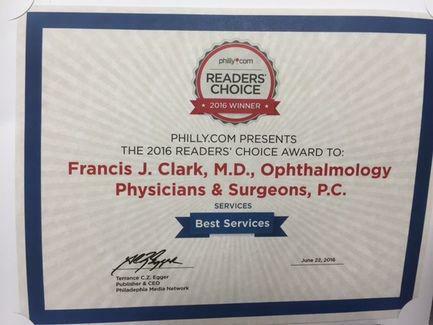 Ophthalmology Physicians & Surgeons has been chosen as the “Best Services” in Philadelphia, according to a Readers’ Choice Award program sponsored by philly.com. “We have seven eye care offices in the Greater Philadelphia area and eleven highly trained doctors focusing on various aspects of eye health,” explained Dr. Clark. “We are equipped to meet the eye care needs of your entire family.” Ophthalmology Physicians & Surgeons proudly partners with the Wills Eye Surgical Centers, the largest eye hospital in the United States. 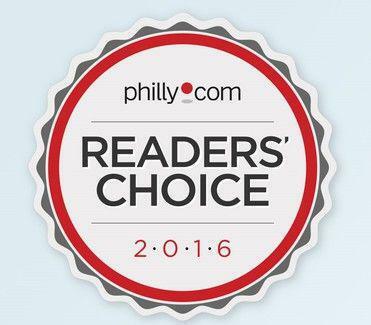 Winning the Philly.com 2016 Readers’ Choice award is a great addition the many other honors and awards Ophthalmology Physicians & Surgeons received over the years. “Our doctors at Ophthalmology Physicians & Surgeons have been recognized for their leadership and outstanding patient care, “ stated Dr. Clark. Ophthalmology Physicians & Surgeons is committed to incorporating the latest technology for your optimal eye health and safety. Whether you need a simple vision test, or advanced eye surgery, we can provide you and your loved ones with the exceptional results you deserve. Call our office today to book your appointment.